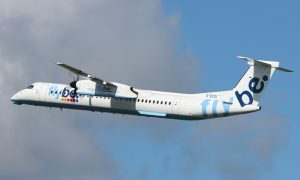 Flybe has secured a new codeshare agreement, this time with Dublin-based Aer Lingus which, with immediate effect, builds further on its proposition to seamlessly connect its regional customers with ‘One Stop to the World’ connections. 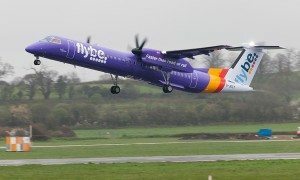 The partnership with Aer Lingus now enables Flybe customers travelling from Exeter, Inverness, Southend and Southampton to access, via a single stop in Dublin, an even wider range of destinations across North America and Canada. Aer Lingus’ north Atlantic network includes 10 daily flights across the Atlantic to Boston, New York, San Francisco, Orlando, Chicago and Toronto. This codeshare agreement also extends to those travelling on Flybe franchise partner flights to the Irish Capital – namely those from Donegal with Loganair and Flybe’s joint operation from Southend with Stobart Air. Customers will be able to make full use of this partnership through bookings via the Aer Lingus website or through local travel agents and with just one airline ticket can be assured of seamless onward flights through Dublin. There is the added benefit that Dublin Airport also provides US Customs pre-clearance meaning that passengers arrive in the United States as a ‘domestic passenger’ and so can proceed straight through to the arrivals hall at their eventual destination, by-passing lengthy US Customs and Immigration queues. Today’s news builds upon Flybe’s current portfolio of five existing codeshare partnerships, namely those with Air France, British Airways, Etihad, Finnair and KLM, along with 17 interline partners that includes Emirates, Virgin Atlantic, Delta, Air Portugal and Qatar Airways. Paul Simmons, Flybe’s Chief Commercial Officer, said: “Our new codeshare agreement with Aer Lingus is another exciting development for Flybe and we are delighted to be working with such an excellent and well-respected airline. 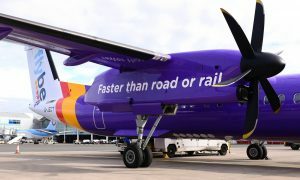 It further demonstrates our commitment to providing seamless connectivity from the regions of the UK, which means passengers do not have to face long road or rail journeys to the UK’s south east hub airports.